UPSC ESE Answer key 2019- The answer key of UPSC ESE for preliminary exam is available now. Coaching institutes like GATE forum and IES Master has released UPSC ESE answer key 2019 within few hours after the exam got over. To calculate the number of correct and incorrect answers candidates can check the answer key. UPSC ESE 2019 answer key contains the correct answers to the questions asked in the preliminary exam. UPSC ESE answer key can help candidates know the detailed solution of the questions asked. The official UPSC ESE answer key 2019 will be released by UPSC after the recruitment process. UPSC will release the answer key for all sets of question booklets provided in the exam. UPSC will release the answer key of all the disciplines – Mechanical, Electronics & Telecommunication, Civil and Electrical Engineering. As per the marking scheme of UPSC, 0.33 marks is deducted for each wrong answer. UPSC ESE 2019 prelims exam was held on January 6, 2019. Read the details below about UPSC ESE answer key 2019. How to download UPSC ESE Answer key 2019? Candidates can check the steps given to download UPSC ESE answer key 2019. Download the pdf and check the answers as per the set of the test booklet. The coaching institutes like GATE forum and IES Master has released the answer key of UPSC IES. Candidates can download the institute-wise answer key below. UPSC will also release the answer key of ESE preliminary exam. Candidates will be able to check official answer key after the recruitment process on the official website. Candidates can check the UPSC ESE answer key 2019 answer key by Made Easy, IES Master below. As per the marking of UPSC, candidates get 2 marks for each correct answer while 0.33 marks is deducted for each incorrect answer. Candidates can check and compare the answers marked in the exam by using UPSC ESE answer key 2019. 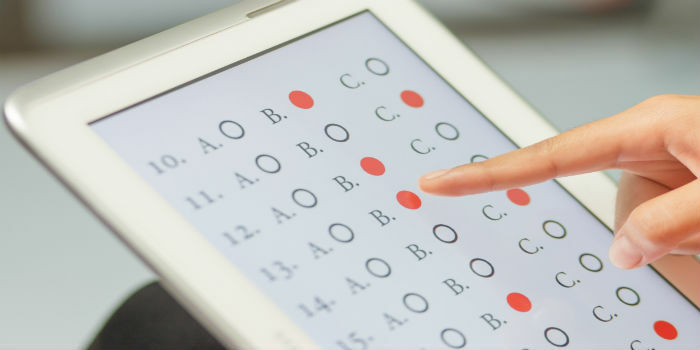 The answer key helps candidates to calculate their probable score of the exam on the basis of the number of correct and incorrect answers. UPSC ESE answer key 2019 contains the correct answer of questions asked in the exam. The cut off marks of UPSC ESE 2019 will be released for prelims and mains exam. Candidates who qualify the minimum qualifying marks released by the commission will be eligible to appear for the next round of selection procedure. Candidates securing equal or more than cutoff announced for preliminary examination will be shortlisted for mains. Similarly, candidates need to secure equal or above the cutoff for mains exam. The final cutoff of UPSC ESE 2019 will be based on the marks secured by last recommended candidates in written examination and interview.